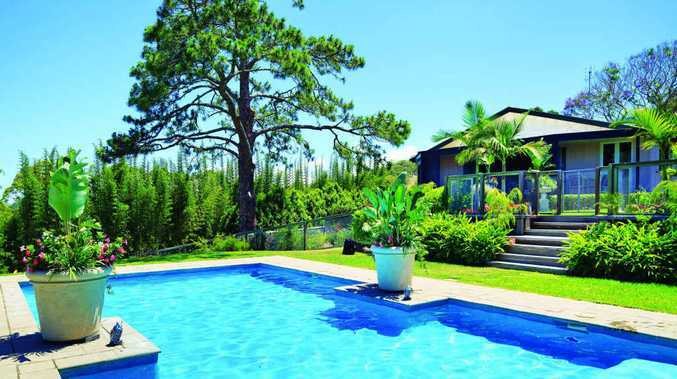 6 Old Maleny Road is for sale with Ben Wilson of Ray White Lifestyle. 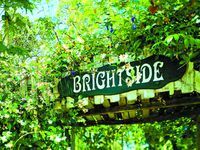 BRIGHTSIDE may have come a long way from it's former guesthouse status as a cosy B&B run by Mrs E.A Domsch, to a comfortable private residence with a classic welcoming feel; however, one thing remains - there is an atmosphere of restfulness and quiet which instantly makes a guest feel at a home away from home. When Ben Wilson of Ray White Lifestyle contacted me about a one-of-a-kind property he just listed, little did I know just what special piece of paradise lay there. Having been brought up on the Blackall Range, I have driven past this property countless times. But unbeknown to me was just what awaited behind the buffer of green providing privacy and blocking out the noise along the Landsborough-Maleny Rd. Brightside is not just an outstanding property, it is an experience of the new age blended nicely with the old. And though it has undergone extensive renovations, the awe of its heritage remains. At once, you feel right at home. 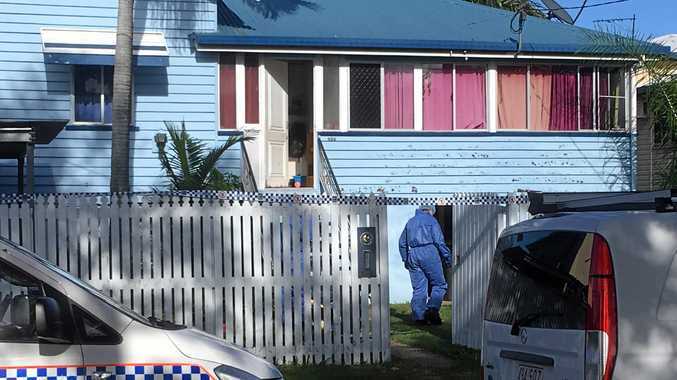 An original leaflet distributed in Landsborough described what is today: "sun-porch and spacious verandas overlooking the sea and a lounge large, cool and restful". On that April morning of 1980, the wide windows of Brightside looked out on a sun-brightened expanse of land, ocean and sky which spanned over a hundred kilometres of coastline from the hazy shape of the southern end of Stradbroke Island to the outline of Noosa Heads, dimmed in the distance. The TV towers on Mt Cootha thrust from the mountain skyline like daggers and the white sand cliffs of Moreton Island trimmed the blue of Moreton Bay; a view of natural majesty seen from a spur of the Blackall Range high above Landsborough. Morning sun warmed the landscape and displayed ever-changing colour and shadow, glinted on the clustered roofs of townships and revealed the ribbons of road and rail. 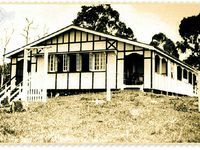 Not just a guesthouse, Brightside also became a rest and recreation centre for service women stationed in Brisbane during the war. Provided free of charge (aside from the five shillings a day for food) it was a time when the home was filled with young voices and every Sunday evening a picnic was had on the front lawn. The house itself is nestled among a lush 10 acres of prime native gardens. Inside, hardwood floors warm the soul as the open-plan living area is framed by French doors showcasing the enchanting views. On either side of the living area are sleep-outs - one could be used as a library, the other as a home office; or one as a sun-lounge, the other as a music room. Three bedrooms are ensuited. 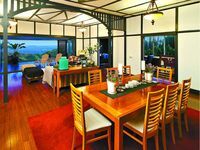 The master suite offers views to the north over Coolum and the Noosa hinterland where one can lay in bed at night and watch the lights twinkle in the distance. The ensuite here has a deep plunge bath. Meanwhile many features of the original kitchen have been used in the renovation, to keep it in with its heritage and character, however modern appliances have been installed and an open butler's pantry is part of the package. In an effortless transition from inside living to out, the magnificent timber deck showcases the most remarkable of views; from a vast range of green hues to blue. Overlooking the pool and pool house, this deck is covered and would be the place to sit and lounge in a recliner with a cuppa and warm cookies fresh out of the oven. merly a meditation room) and additional cabin due for completion, an outdoor pizza oven and fire pit, all adjacent to national park, ithis property is the ultimate green change. With established landscaping and terracing, circular vehicle access to three places in the property, all the hard work's been done. Some minor maintenance is all that's required to keep this the truly magical and lush setting that it is. There is ample flat land for a cricket pitch or tennis court, and the area around the house is fully fenced, making it children and pet-friendly. "This property offers lot of opportunity to do different things," Ray White's Ben Wilson says. "And it's so quiet, it's almost as if you are in the middle of nowhere but you really aren't," being within 10 minutes of the train, hospital, groceries, eateries and boutique shopping that is the quintessence of the hinterland. There is an oversized double lock-up garage, six-bay shed, ample water storage, bore to irrigate the grounds and three-phase power to the house, as well as power to the shed. But as Stan Tutt so classically put it, "like the magnificent landscape seen through the wide windows, the interior of Brightside holds a sense of good and peace". Now may just be your time to take a walk on the bright side.